An unparalleled experience in cultural sensitization and team-building! Team Building that builds workplace diversity understanding, respect, team work and accountability. When taken to the highest level, Celebrating Humanity programmes resolve team conflict in the long term.With, for and by the team members. This 1 day Celebrating Humanity Eye Opener Diversity Training program was facilitated at St Georges Hotel - near Centurion - on 3 May 2012. I have received very positive feedback from the day we spent with you and as you can imagine this experience has also set my thoughts into a different direction which I would like to share with you. Please feel free to comment. Please note the authors reserve the right to accept or reject comments. Please feel free to comment and subscribe to our blog. Celebrating Humanity Founders - Arthie and Brian V Moore. 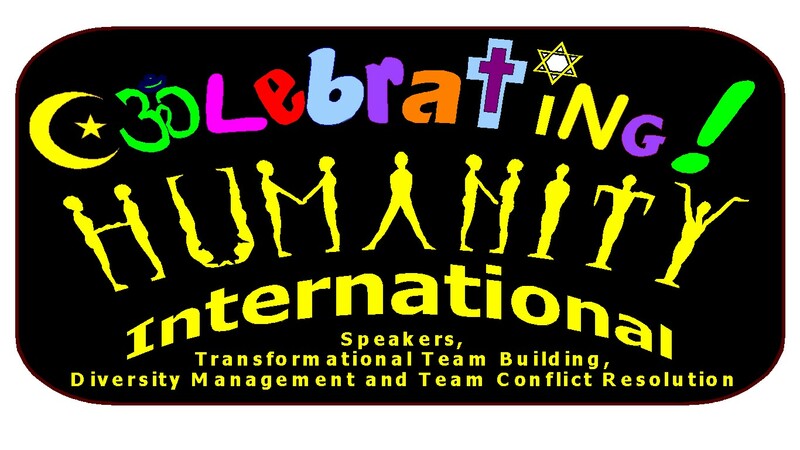 Multi-lingual and culturally experienced facilitators of positive change through Celebrating Humanity Diversity Training, Transformational Team Building and Team conflict resolution programs. Additionally Brian is an author, and an EFT and permaculture specialist, whilst Arthie is a highly inspirational leader of the Just Coz Campaign.